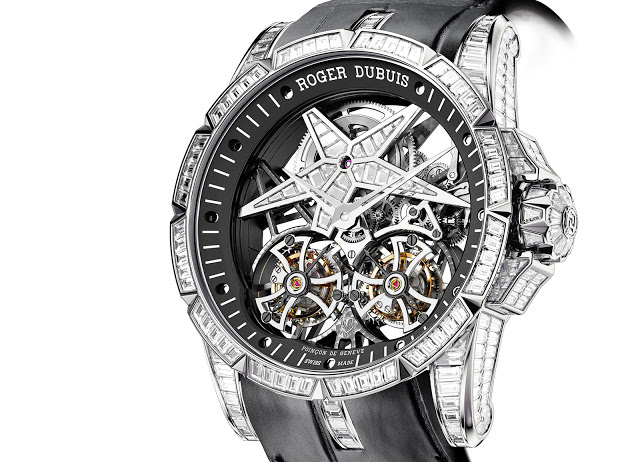 For Watches&Wonders 2015, Roger Dubuis dresses up its flagship Excalibur Skeleton Double Flying Tourbillon with nearly 15 carats of baguette diamonds, even on the movement. 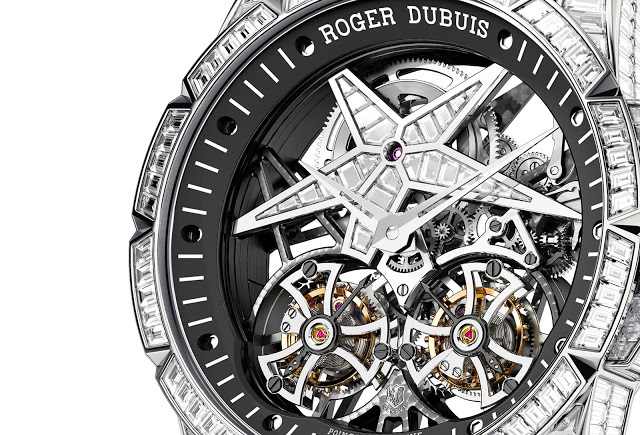 Continuing with the skeleton movement theme established at SIHH 2015, one of the highlights from Roger Dubuis at Watches&Wonders in September will be the Excalibur Star of Infinity. Set with 312 diamonds, including 34 on the star-shaped barrel bridge on the movement, the Excalibur Star of Infinity is equipped with the RD01SQ, a hand-wound skeleton movement with twin tourbillon regulators. Big and definitely bold, the white gold case is 45mm in diameter, with details typical of the Excalibur case, including the notched bezel and triple lugs – all set with diamonds naturally. The RD01SQ movement is the same one found in the new, lightweight Excalibur Spider Double Tourbillon, decorated in the typical Roger Dubuis manner. All the bridges have been open-worked to leave just slim, straight lines, all grey rhodium-plated and finished with perlage, or circular graining. Despite the dark colour of the grey rhodium, the perlage catches the light nicely. 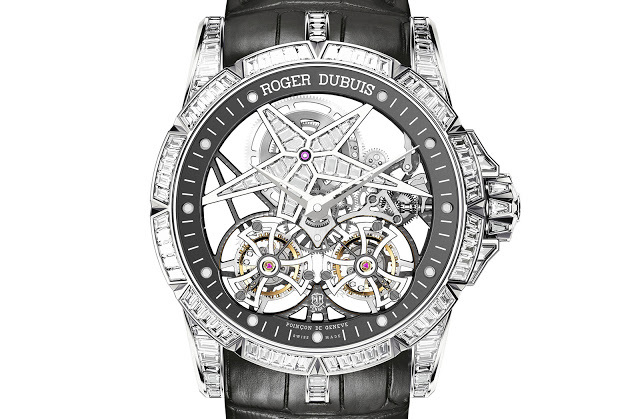 The Excalibur Star of Infinity retails for S$1.09 million, or about US$800,000.